In DevOps, the application is often releasing new features and functionalities. In every release, the business needs are deployed in the cloud for flexibility and service delivery but often they are skipping the information security service in completing the organisation’s on-time release. This blog explores the overview of DevOps Vs DevSecOps and how security professionals and developers need to be ready, before integrating DevSecOps in the organisation. Why we need to move DevSecOps? Are you a security professional or developer in DevSecOps? DevOps is a model that is in the background process for helping the organization to archive the continuous versions. DevOps (Development and operations) is a development practice model, which allows organisations to increase the speed of producing products and services. It is attaining widespread familiarity and so, it is being implemented from the start-ups to higher enterprises in different industries. At the same time, DevOps has some drawbacks in its process which may have insecure codes and bugs during the production release. These bugs can lead to serious security vulnerabilities which can cause data loss (or) data breaches. The best recommended solution is to combine and enhance information security measures along with DevOps, which prevents the slowing down and compromises of business before being affected by vulnerabilities. A proactive approach before any compromise is always superior than a reactive approach for breaches prevention. Hence, information security must be integrated into development phase along with security controls, so that’s how and why the DevSecOps had its inception which is being hailed. DevSecOps is a model that collaborates information security and DevOps. DevSecOps is similar to DevOps, but security will be in place for every phase of the development. DevSecOps can be a solution for big cloud environments like Google, Facebook and Netflix etc. Each and every day, they are updating thousands and thousands of lines in production, which can’t be tested after the deployment on each release. Hence, it needs to be addressed in DevOps itself. In DevOps, fixing the vulnerabilities will take a longer time than DevSecOps model. Keeps your code secure in every production release. Identification & fixing the vulnerabilities is faster in DevSecOps. Integrating Security with automation tools like SAST in development, will increase the continuous delivery and security quality. Do you have a penchant in security professional or as a developer in DevSecOps??? Developers can make a better world. On DevSecOps, both security professionals and developers are the core factors and so their contribution to security is vital. The security team should contribute to the development team by bringing series of tests and quality conditions without slowing the process. Security parameters and metrics are incorporated into development and so the chance for security professionals to be involved in the procedures for DevOps is much higher. Security teams should work with QA and development to define specific parameters and critical qualifiers, which needs to be addressed before any code can be promoted. Also, security team should integrate automated tools in testing and development environment, for excavating and then rectifying those flaws as fast as possible. As a developer, they have to be aware of the secure code review and also on the basic prevention code practices for common vulnerabilities. So, the motto on DevSecOps is “everyone is responsible for securing the product”. Automating security testing in DevSecOps, requires incorporating testing within development and processes. Finding code related vulnerabilities with the secure code review and adding plugins like IDE that finds instant insights and remediation guidance as problems, are introduced. Consider a combination of testing methodologies like OWASP technologies including static, dynamic and software composition analysis for example. Here, you can use some testing tools like burpsuite, ZAP proxy tools with Jira or any other piping tools to synthesize testers and developers, and also for ensuring your policies align to the security tools/solutions, with your developers using to connect security tools in development environment. In organizations, if there are a lack of experienced or qualified security professionals, then developers have to take more responsibility for security. In that situation, developers should to be trained in security. Developers should also make significant improvements in security, when inculcated with proper training on remediation guidance and in handling the secure code review tools that allows them to check their code against vulnerabilities knowledgeably. You can turn into a developer, who shows more interest in security and then can make them into security professional, whom can improvise their secure coding practices as well as their security testing skills. 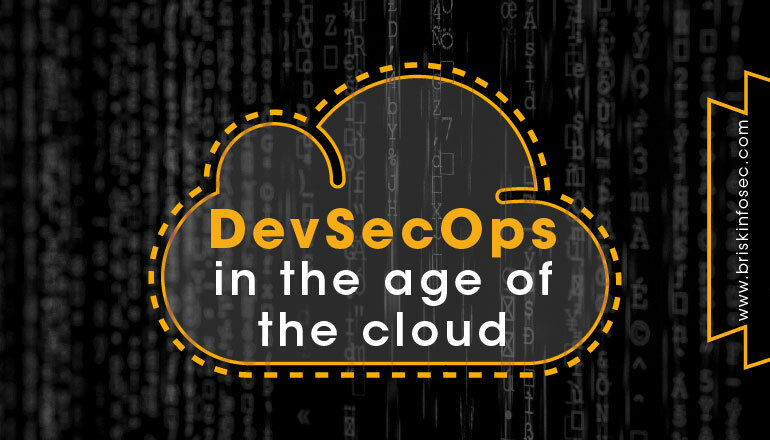 In the age of cloud, collaborating DevSecOps requires a lot of automation and integrating security in DevOps. Areas discussed in this blogs can be an excellent first step in adopting and executing these implementations. Implementations will require subtle changes, as various concepts are needed to be applied within the organisation.Moreover, even the frameworks need to be replaced with new Practices.